Keven Lippert, second from left, leads a meeting at ViaSat’s campus in Carlsbad, CA. Lippert tells this story during interviews to assess whether candidates for positions at ViaSat will fit well into the company’s horizontal meritocracy. “A lot of people say they have a culture like ours, but our company really does take a team approach,” he says. Advice from ViaSat’s legal team is valued throughout the company, and not just from a legal perspective. Lawyers at ViaSat are asked to voice their opinions about business practices as well. The general counsel before Lippert, who also served as CFO and oversaw manufacturing, largely established that culture, and the structure goes both ways. Other employees feel free to voice their opinions about what the legal team is working on. 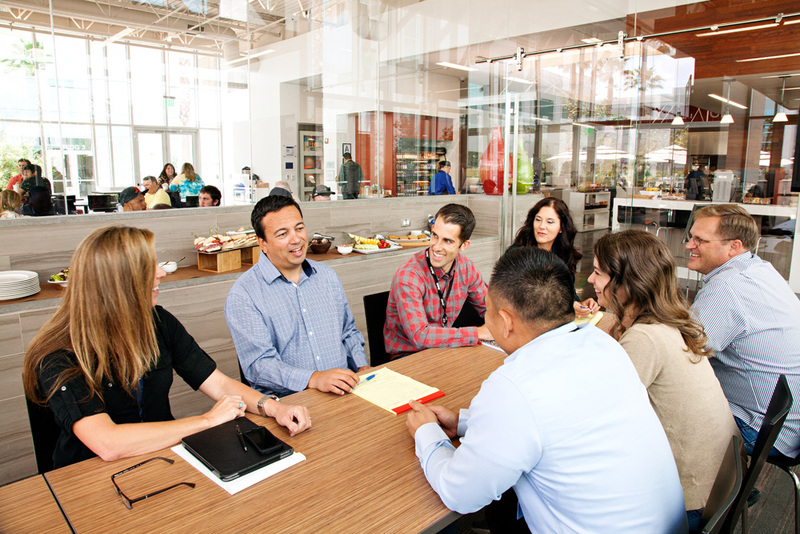 ViaSat’s campus is designed to meet the needs of its staff. 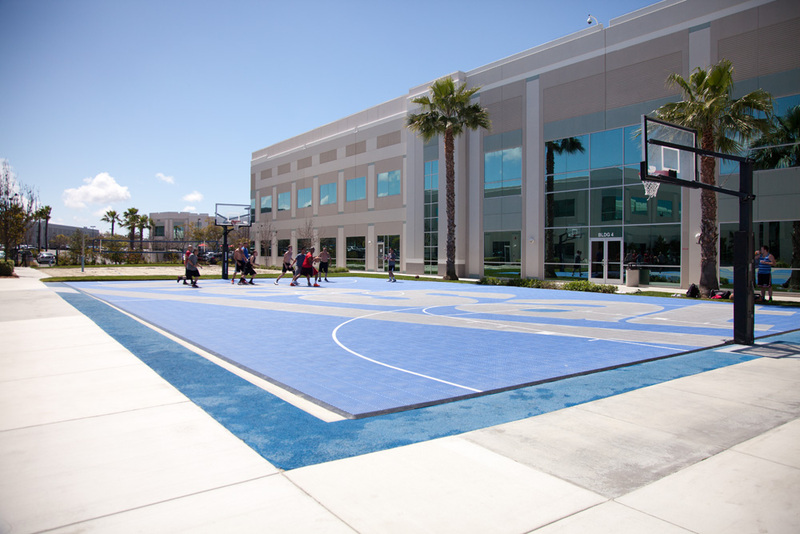 Employees can bike between buildings and enjoy a basketball or volleyball game during lunch.